Join Us! The Royal African Society and the British Council present Africa in 2017: Prospects & Forecasts– a three city tour of panellists discussing what 2017 has in store for Africa. 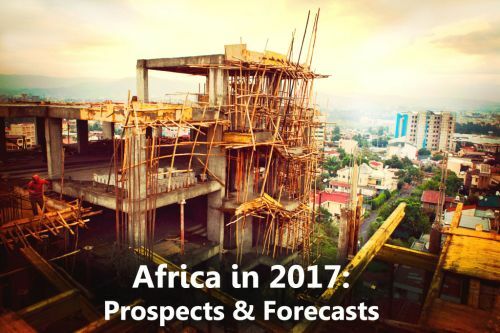 Following a year that’s delivered major surprises in Africa and globally, what does 2017 hold for the African continent? Will it be a year of crises or triumphs? In terms of elections, 2016 witnessed several major votes on the continent that mostly returned incumbent leaders to power; Ghana, which saw another transition of power, proved to be one of very few exceptions in a pattern that saw sitting presidents in the Republic of Congo, Uganda, Gabon, Zambia, Niger and more all re-elected. Beyond Africa, the UK’s vote to leave the European Union and the US election delivered further political shocks. What impact will these landmark events and uncertainty in the global system mean for Africa? What can we expect from elections scheduled for 2017 in the likes of Angola, Rwanda, Liberia and Kenya? Economically, the fall in commodity prices continued to hit major economies, in particular Nigeria, while South Africa, again the continent’s largest economy, remains mired in political turmoil and seems unable to tackle declining economic output and rising unemployment. What impact will commodity prices, an uncertain global economic outlook, and China’s continued slowdown have on Africa? Speakers on the tour include Njoki Ngumi (The Nest Collective, Kenya); Razia Khan, (Standard Chartered); Patrick Smith, (The Africa Report, Africa Confidential); Zeinab Bedawi (Chair, RAS); Nic Cheeseman (University of Birmingham) and Franklyn Lisk (University of Warwick). Others to be announced. Each event will be followed by a networking reception.